The San Jose Blog: EXCLUSIVE: San Pedro Square Market Confirmed Tenants! 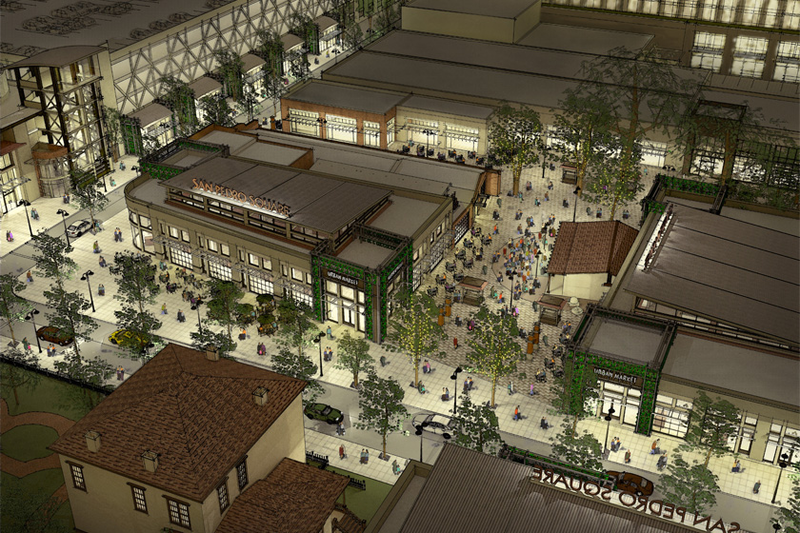 EXCLUSIVE: San Pedro Square Market Confirmed Tenants! I'll start off by saying that I think The San Pedro Square Market is the most exciting project underway in Downtown San Jose right now. If you happened to be at SJ Eats 2.0 over the weekend, you got a sneak preview of what San Pedro Square will be like after the Market is open--especially if you were eating some Treatbot ice cream next to the Peralta adobe (they will be one of the permanent tenants). There are also a number of leases that are in process right now, and I'll provide juicy details as soon as I get a green light! More news (and interviews) to come later this month. Do you know if they are going to have produce or fruit stands?? wasn't barefoot going to be an anchor? Bah, they were but that fell through :/ That anchor spot is amazing too, right at the corner with multiple roll up doors and tons of outdoor seating. No Barefoot? Should get red berry to move into san p square - would be a much better location for them. Definitely need an artisan coffee shop..and an artisan chocolate shop. I'll second red berry, that is one of my favorite coffee shops! Awww no Barefoot? Who is filling the coffee void? Also, will the gift shop be SJ-centric? I love that the Usuals are moving in! Great move. The gift shop will definitely be SJ-centric!